All those automotive fluids can be confusing for Houston car owners. Recent years have brought new grades of engine oil, types of transmission fluid, coolant, and brake fluid. The right fluid protects your vehicle and helps it perform at its best. The wrong fluid won’t work as well for Spring car owners and could even cause damage. In addition to new grades of engine oil, many family cars now leave the factory with synthetic oil. Spring auto owners should always use the grade recommended by their vehicle manufacturer and type of oil in their engine. All coolant, also called antifreeze, used to be green. Now there are several other colors of coolant sold at C&A Transmission & Auto Repair in Spring. Each type is designed to protect the cooling system components that are particular to your vehicle. The wrong stuff can void your family car cooling system warranty and could even cause engine damage. Most passenger vehicles on Spring roads today use either DOT 3, DOT 4 or DOT 5 brake fluid. Your family car power brake system is specifically designed to use ONE of these types – you need the right one. Higher numbers do not necessarily mean a higher, upgraded fluid. Now, the vital thing is knowing that your vehicle requires specific grades and types of fluids and that using the right fluids is good and using the wrong ones is bad. Once you’ve got that down, it’s easy to remember to check with your personable C&A Transmission & Auto Repair service professional or family car owner’s manual to find out which automotive fluids to use. If you’ve walked through the automotive fluids of an auto parts store in Houston, you’ll know how overwhelming the sheer number of products available can be. How do you know what’s right for your vehicle? As you know, these fluids all serve a function in making your car run as you drive around the Houston area. Your vehicle manufacturer has specified a particular type of fluid for every system from the motor, to the cooling system, brake fluid and so on. When you realize that not every variation is applicable to your vehicle, the task becomes more manageable. Some vehicles around Houston come from the factory filled with synthetic oil and the recommendation to use it for life. The safe bet is to always use what the factory recommends. The recommendation is what’s been proven to work in function and durability tests. The recommended oil is also a factor in determining oil change interval schedules. Sometimes fluids are developed specifically to meet the needs of a particular family of engines. An example would be coolant. Because of the different materials used to build the cooling system, the coolant has to be formulated to protect those parts, which vary from manufacturer to manufacturer, from corrosion. We’ve seen special coolant in Houston for General Motors, Volkswagen, Chrysler and others. The really good news is that your Houston service center has databases that tell them the recommended fluids for your vehicle. This takes all the guess work out. If you have some special needs, like a higher mileage engine or want enhanced performance, ask your service advisor for upgrades or additives that’ll meet your needs while being consistent with the manufacturer’s recommendations. Of course, your full-service oil change will top off your fluids. But it’s a good idea to have some of everything at home in case you need to top something off yourself or to take on a trip. Ask your Houston service advisor at C&A Transmission & Auto Repair or check your owner’s manual for fluid specifications. The do-it-yourselfer has to be pretty careful so that they do not actually harm their vehicle with the wrong type of fluid. That is why so many TX car owners rely on the advice of their service consultant to not only get the correct family of fluids, but to suggest the formulation that is best for their car and the way they drive. Let’s start with engine oil. If you have been paying attention, you will have noticed a number of new oil weights on the scene in the last several years. Modern engines are built to much tighter tolerances and have very complicated valve trains. The oil must be thin enough to lubricate complicated parts when the engine is cold. The weight of an oil is expressed in terms like 20-W-50 or 5-W-30. Manufacturers recommend the weight of oil for each vehicle they make. The recommendation is based on engine design. Your Spring service center will know what weight your manufacturer recommends – and it’s important to follow those recommendations. A service adviser at C&A Transmission & Auto Repair can also offer suggestions for special formulations and can explain conventional and synthetic oils. Not too long ago, there was a good chance that all of the vehicles at your house would use many of the same fluids. 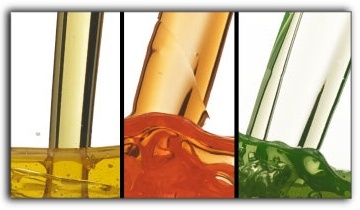 However, as automotive technology advances, the array of basic automotive fluids you need will grow. And, some of the formulations will cost a little more. Fortunately, your Houston service center will continue to update their training to keep pace with technology so that you’ll get the right fluids your car needs. It’s all part of the commitment your service center makes to your driving peace of mind.